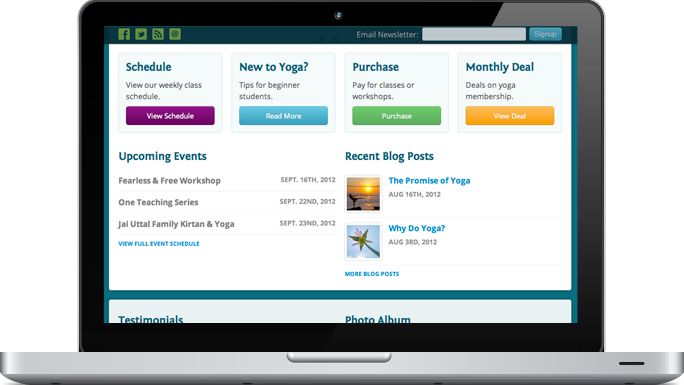 Yoga Mountain Studio is a community-based yoga center in Fairfax, California. They have a staff of well-trained teachers and offer a variety of classes, private lessons and yoga therapy. They needed a new website that offered a more professional first impression. We took it one step further and built a custom WordPress based website that includes the studio’s schedule and events, a multi-author blog, a teacher directory, newsletter integration, and lots of other features that make the new site easy to update and stay connected through social media. Besides incorporating elements of the studio’s beautiful Marin County landscape into the background of the site, we chose a new color palette that is bright and energetic without being overwhelming. We also updated the yoga studio’s brand identity with a logo refresh that simplified the existing typeface and brandmark. 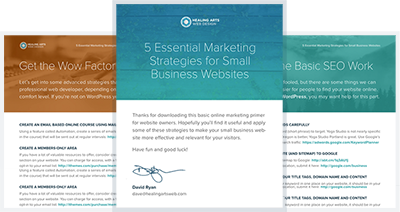 Strong, clear typography throughout the site also helped us establish a professional feel and ensure that all of the information on the site looks good and is easy to read. 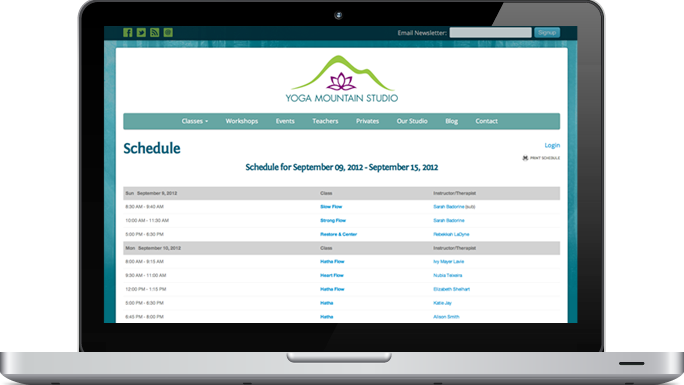 Like lots of yoga studios out there, Yoga Mountain uses Mind Body Online for their class scheduling. We used HealCode (a Mind Body Online partner) to integrate clean, easy-to-understand schedules to the website that automatically update every time the master Mind Body schedule is changed. 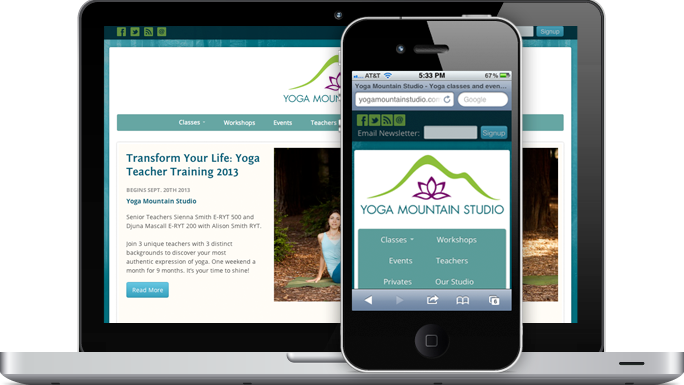 The Yoga Mountain site adapts to any screen that it is viewed on, from an iPhone to the largest desktop monitor. You can try resizing your browser window to see how the site changes to fit the screen. Ultimately, this makes for a much better experience for anyone using the site on a device like a phone or a tablet.